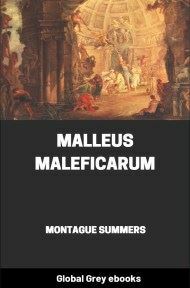 Malleus Maleficarum (The Hammer of Witches) is the most important witchhunter's bible, used by both Catholics and Protestants. 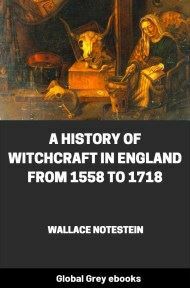 First published in 1486, it remained in use for three hundred years and had a tremendous influence in the witch trials in England and on the continent. 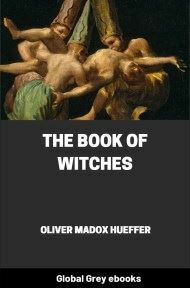 This book was used as a judicial case-book for the detection and persecution of witches, specifying rules of evidence and the official procedures by which suspected witches were to be tortured and put to death. Thousands of people (mostly women) were murdered as a result of the procedures described in this book, for no reason other than a strange birthmark, living alone, mental illness, cultivation of medicinal herbs, or simply because they were falsely accused. 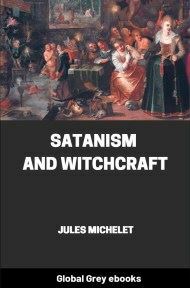 Whether the belief that there are such beings as witches is so essential a part of the Catholic faith that obstinately to maintain the opposite opinion manifestly savours of heresy. 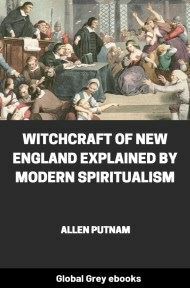 And it is argued that a firm belief in witches is not a Catholic doctrine: see chapter 26, question 5, of the work of Episcopus. Whoever believes that any creature can be changed for the better or the worse, or transformed into another kind or likeness, except by the Creator of all things, is worse than a pagan and a heretic. And so when they report such things are done by witches it is not Catholic, but plainly heretical, to maintain this opinion. 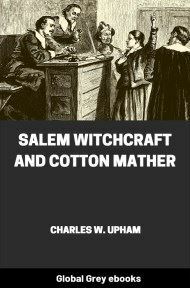 Moreover, no operation of witchcraft has a permanent effect among us. And this is the proof thereof: For if it were so, it would be effected by the operation of demons. But to maintain that the devil has power to change human bodies or to do them permanent harm does not seem in accordance with the teaching of the Church. For in this way they could destroy the whole world, and bring it to utter confusion. Moreover, every alteration that takes place in a human body - for example, a state of health or a state of sickness - can be brought down to a question of natural causes, as Aristotle has shown in his 7th book of Physics. And the greatest of these is the influence of the stars. But the devils cannot interfere with the stars. This is the opinion of Dionysius in his epistle to S. Polycarp. For this alone God can do. Therefore it is evident the demons cannot actually effect any permanent transformation in human bodies; that is to say, no real metamorphosis. And so we must refer the appearance of any such change to some dark and occult cause. And the power of God is stronger than the power of the devil, so divine works are more true than demoniac operations. Whence inasmuch as evil is powerful in the world, then it must be the work of the devil always conflicting with the work of God. Therefore as it is unlawful to hold that the devil's evil craft can apparently exceed the work of God, so it us unlawful to believe that the noblest works of creation, that is to say, man and beast, can be harmed and spoiled by the power of the devil. Moreover, that which is under the influence of a material object cannot have power over corporeal objects. But devils are subservient to certain influences of the stars, because magicians observe the course of certain stars in order to evoke the devils. Therefore they have not the power of effecting any change in a corporeal object, and it follows that witches have even less power than the demons possess. For devils have no power at all save by a certain subtle art. But an art cannot permanently produce a true form. (And a certain author says: Writers on Alchemy know that there is no hope of any real transmutation.) Therefore the devils for their part, making use of the utmost of their craft, cannot bring about any permanent cure - or permanent disease. But if these states exist it is in truth owing to some other cause, which may be unknown, and has nothing to do with the operations of either devils or witches. But according to the Decretals (33) the contrary is the case. “If by witchcraft or any magic art permitted by the secret but most just will of God, and aided by the power of the devil, etc . . . . ” The reference here is to any act of witchcraft which may hinder the end of marriage, and for this impediment to take effect three things can concur, that is to say, witchcraft, the devil, and the permission of God. Moreover, the stronger can influence that which is less strong. But the power of the devil is stronger than any human power (Job xl). There is no power upon earth which can be compared to him, who was created so that he fears none. Answer. Here are three heretical errors which must be met, and when they have been disproved the truth will be plain. For certain writers, pretending to base their opinion upon the words of S. Thomas (iv, 24) when he treats of impediments brought about by magic charms, have tried to maintain that there is not such a thing as magic, that it only exists in the imagination of those men who ascribe natural effects, the cause whereof are not known, to witchcraft and spells. There are others who acknowledge indeed that witches exist, but they declare that the influence of magic and the effects of charms are purely imaginary and phantasmical. A third class of writers maintain that the effects said to be wrought by magic spells are altogether illusory and fanciful, although it may be that the devil does really lend his aid to some witch. The errors held by each one of these persons may thus be set forth and thus confuted. For in the very first place they are shown to be plainly heretical by many orthodox writers, and especially by S. Thomas, who lays down that such an opinion is altogether contrary to the authority of the saints and is founded upon absolute infidelity. Because the authority of the Holy Scriptures says that devils have power over the bodies and over the minds of men, when God allows them to exercise this power, as is plain from very many passages in the Holy Scriptures.